Amp Marketing Inc. is an organization that partners with Fortune 500 companies to assist in marketing strategies and new customer acquisitions. Our clients are among the most recognized brands both nationally and internationally. Amp doesn’t just create opportunity – we create the kind of growth and culture that has us featured in Inc. Magazine, Forbes Magazine, on Success Today, NBC, ABC, CBS, Fox, Reuters, and Bloomberg. At Amp our focus is on building tomorrows’ business leaders today. 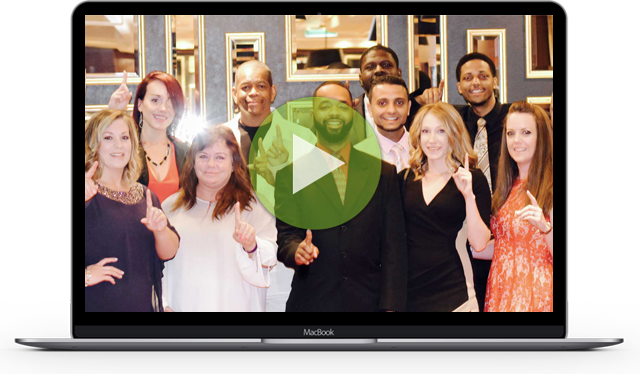 We are committed to providing the necessary training, development and culture to help you elevate your position and income to the level you desire. We have launched Amp University, our online portal of training and development resources, as an additional tool to help our team members grow. We have resourced you to empower yourself to hone your current skills and develop new skills to propel you to a better future. Amp has grown 1023% in the last 3 years and our mission is to continue our nationwide expansion. We are seeking top talent to add to our existing high performing teams and strong leaders to spearhead new market launches. Because we prefer to promote from within, a majority of our positions are entry-level. However, those who have experience in marketing, sales, negotiation, or leadership of any kind – do not be deterred. We have rapid advancement programs for those exhibiting strength in these areas. Where we chat a lot of business & network. Vlogs, video, live, and all the other good stuff. We’re all in on stories that provide value to entrepreneurs. Longer video, like our Amp It Up series!